The Hollywood Chamber of Commerce invites member businesses to our new networking opportunity, Lunch Bunch! On Wednesday, February 20th, join us at Fabiolus Cucina from 12:00-1:00 PM for delicious Italian cuisine and a chance to mix and mingle with your fellow members. 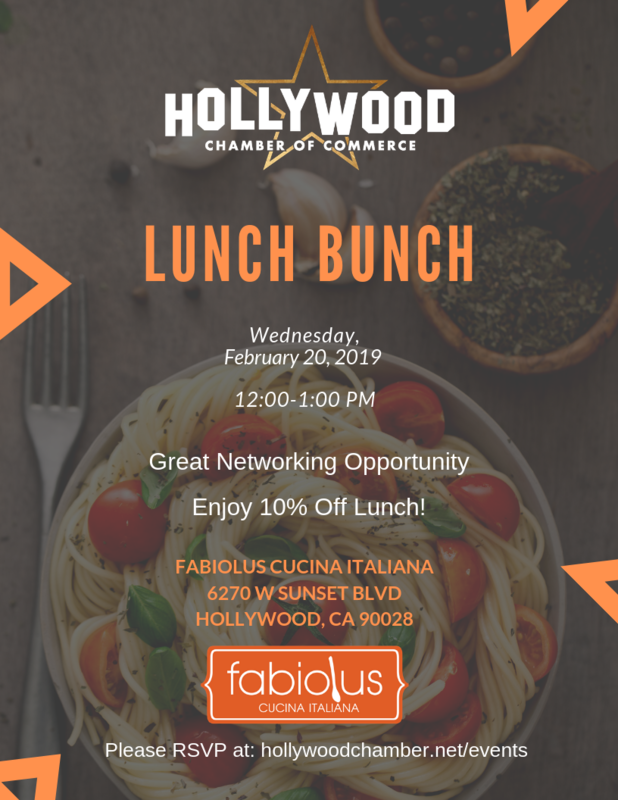 Lunch will be 10% off courtesy of Fabiolus Cucina and the Hollywood Chamber of Commerce.